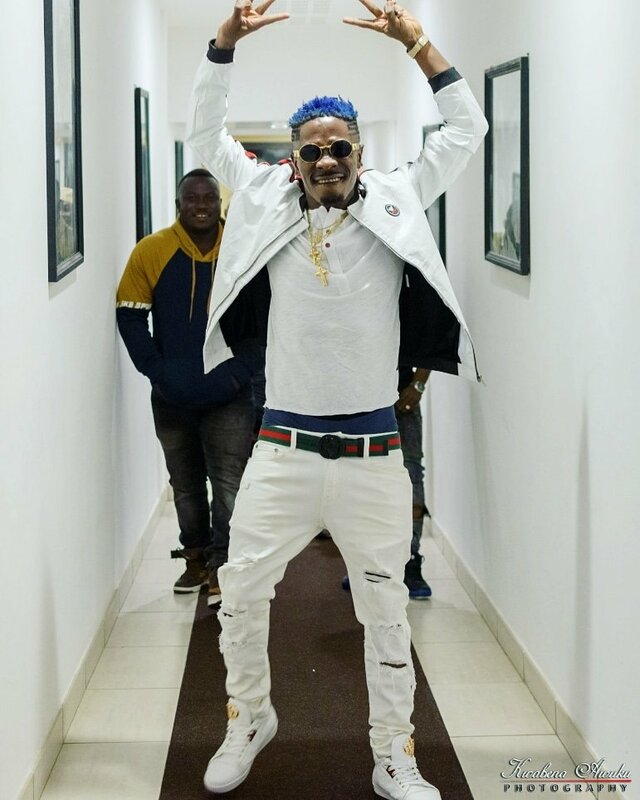 Dancehall artiste, Charles Nii Armah Mensah Jnr, best know as Shatta Wale has complained about the state of his office at Zylofon Media. In the post shared on his Facebook page, Wale disclosed that his new office at Zylofon Media has no air-conditioning. The Zylofon media signee further called on the Zylofon Boss, Nana Appiah Mensah, to come to his aid and solve the problem. His complaint however ended with two jovial emojis with tongue stuck out and a ‘thumbs-up’ emoji. We cannot therefore say if Shatta Wale’s complaint is meant to be taken by the company and Ghanaians on a lighter note. Especially knowing that he can afford an air-conditioner himself. Meanwhile, his post has garnered massive reactions on social media. Most people have argued that Zylofon sees no use of Wale; therefore they refused to put air-conditioners in his office. Others also called on Nana Appiah Mensah to as a matter of urgency, fix the air-conditioners for the ‘Gringo’ hitmaker.